My life turned upside down 3 years ago when I learned about the difference between money and currency. And I am sure yours too will. I urge you to read this post in its entirety and take a moment to ponder upon it. If you don’t yet understand the difference between money and currency, this could be the most life-transforming post you will ever read. The difference of knowing and not knowing this could be so huge that it will determine whether you live a wealthy or a mediocre life. Spoiler: Money and Currency are not synonymous and are not the same thing!! Your true wealth is your time and the value you create in that time. Money or currency (whatever you want to call it for now) are just a medium that stores that value you create. I think we agree on this !! Also, just like you, I have also wondered that the amount of goods my 10 US Dollar bill buys now is way less than what it used to buy me 10 years ago. But still, people like you and me don’t take a pause and think about this. Well, I also understand, why that pause moment never comes. It is because we are all busy in our lives with our work and other responsibilities. And are constantly busy chasing the so-called money (USD, EUR, GBP etc). And many of you will also argue or think that money and currency are one and the same. Portable –It can be carried along and exchanged. Durable – It can be used a number of times without degrading. Fungible – Its one unit is equivalent to another. Divisible – It can be divided into smaller units of value. The dollar or euro etc. bill in your pocket is a currency. It is somewhat durable and portable. It is also divisible and fungible- as the same 10 US dollar note has equal value whether it is in your pocket or mine. But do you think it is a store of value? NOOOOOOOO!! I don’t think so. Governments or central banks or the paper currency issuing authority of your respective country can print as much paper currency as they want thus diluting the currency supply. Have you wondered why your dozen of eggs or a gallon of gasoline costs more than it used to cost 10-20 years back!! In terms of economics, this is called inflation but that’s beyond the scope of this discussion now. But this continuous currency supply secretly transfers the purchasing power of the dollars/euros in your pocket to the people who are actually printing, receiving and spending them first. Note: These paper currencies are also called fiat currencies, which are enforced upon you due to government mandate. But history shows that every paper currency has returned to its intrinsic value of absolute ZERO and there is 0% success rate of such paper currencies. If you don’t believe me here is a snap of the US FED- Federal Reserve which accepts whatever I have said so far. Whereas money is everything, what currency is, plus it is also a store of value. It should hold its purchasing power for a long duration. And only two things fall in this category and they are Gold & Silver. Gold & Silver from thousands of years have maintained these properties of money but until recently there is another new digital form of real money that has emerged. But anything that trades in a free market is supposed to be like that. 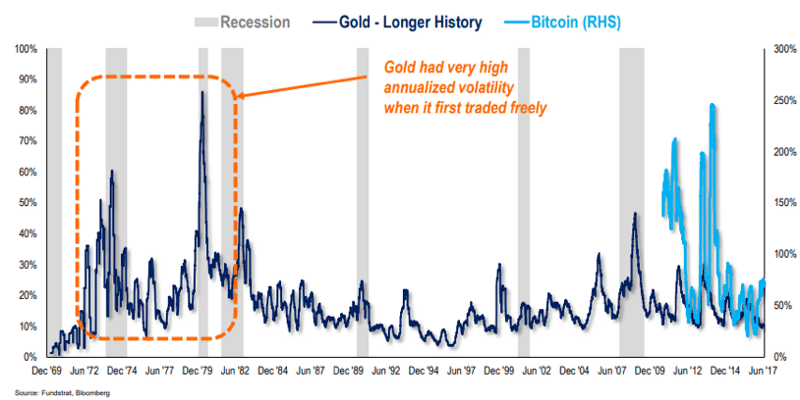 Even Gold when traded freely in the 1970s had volatility levels of 10-90%. All the 3 (Bitcoin, Gold, Silver) cannot be printed by governments. And since they are limited in quantity they are bound to maintain their purchasing power by readjusting their prices time & again. So by these standards, I think you have understood that anything that is claimed to be money must be a store of value and also maintain its purchasing power over long periods of time. But the irony is very few people understand this difference. I bet, dare ask your financial advisor and he/she will not be knowing the difference between the two- Money & Currency. Currency is simply a tool designed by governments to leach out the value that you create. The current form of currency is designed in such a way that it steals your wealth from you. So paper currencies don’t store the value or purchasing power that you create every day instead they leak it back to the governments and banks. Have you ever noticed that the stuff that you are buying like the real estate or let say a dozen of eggs doesn’t change inherently but then why does its prices changes? 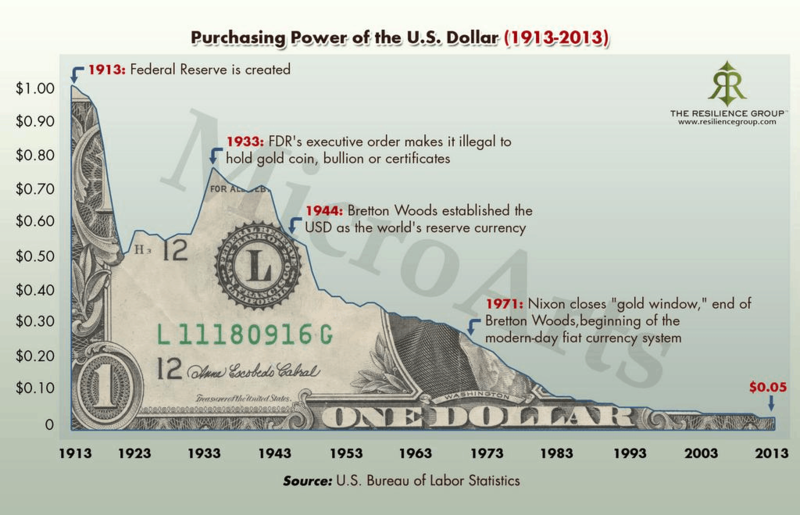 Well, it is not the stuff that is changing but it is the purchasing power of your paper currency that is changing. It buys less and less every year, so it is your currency that is losing its value. I know you would wonder how this all happened? Well, that’s a long story of history of money and currency which I will save for another time. What should you do to save you wealth or purchasing power? And this brings us to the last section of this article. This is a corruption of money itself. Money in itself is not evil. Gold and Silver time and again do an accounting of this access paper currency that is created around the world. And while they account for this mismanagement or misallocation of wealth, every time in the history, Gold and Silver prices rise. But this time one more asset class which qualifies as money will too rise when such an accounting happens during a financial crisis. And this asset is Bitcoin. If you look back in Bitcoin’s history, the very reason it was created was to liberate people from fiat paper currency. And it will be a no-brainer to NOT hold some bitcoins in that case. So I urge you to pause and understand the fact that the value you are creating in terms of paper currency like USD or EUR is under constant attack. And if you don’t own some Bitcoin, Gold & Silver then you are doomed to fail. So if you have understood the myth of money and currency, then I think you will be liberated from it ! !